One of the first problems I ran into with my AR was the lack of room available for operating the charging handle if a scope was mounted. 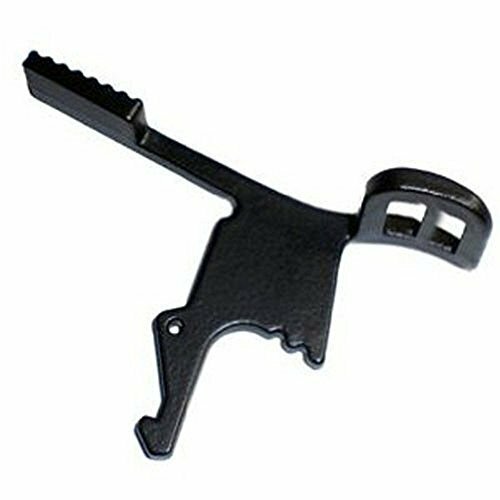 To fix this issues, I ordered a couple of these Ambidextrous Extended Levers for my charging handle. They are actually quite easy to install and do work remarkably well for the inexpensive price. I paid less than $10 per lever to include shipping. All you do is drive the pin out of the charging handle latch and then swap out the lever. It takes only a couple of minutes and looks like this after installation. When you do install it, be careful because the actual charging handle itself is made of a soft aluminum. This leaves it quite susceptible to marks and scuffs. Since this is going into my “truck AR” i was not as careful as I should have been. The next one will be done much more professionally. 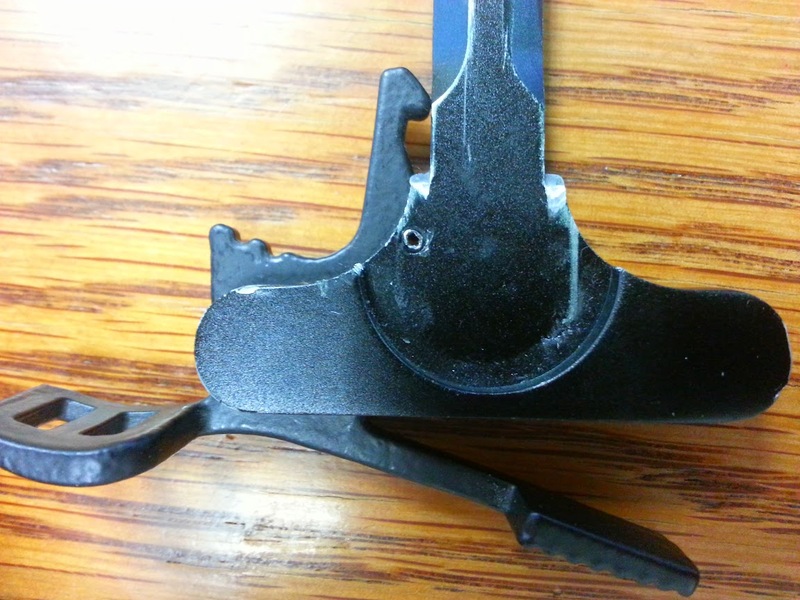 For a quick and easy fix, this charging handle latch actually is quite nice. Not only that, but they are much cheaper than the $60 charged for a Gunfighter or some of the other higher quality ones. I do recommend these charging handle latches for if you need a little extra room due to optics or bear paws for hands. 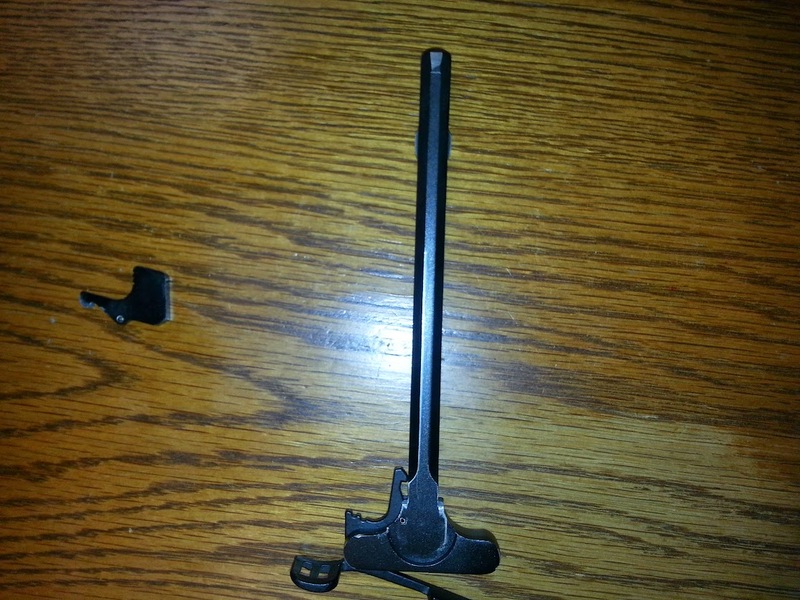 This entry was posted in Firearms and tagged ambi lever, ambidextrous lever, charging handle, charging handle latch, charging handle levers, extended lever on April 8, 2015 by Woodsbum.